With the Monster Standard 100, you'll use a cable that sounds as good as it looks. Whether you're gigging, tracking in the studio, or jamming in the garage, this is a great entry-level cable to get you started. It delivers the quality, durability, and reliability every musician needs”it's always ready to perform when you are. The Standard 100 series cables feature heavy-duty injection molded connectors specially designed for strain relief to increase durability and resist damage. Hard nickel 1/4" connectors are durable and corrosion resistant and the ultra-flexible Duraflex protective jacket coils and uncoils effortlessly and is designed extra tough to resist breakage or cuts. Included swappable color-coded rings make cables easy to ID when you're plugging in multiple cables. Internally, the Standard 100 cables feature precision coaxial design for accurate frequency response and wide dynamic range, while the 90% coverage copper-braided shield rejects RFI and EMI for a lower noise floor and increased resolution. With a carbon-infused dielectric cutting down microphonic pops and cracks and IsoTec vibration technology reducing handling noise, these cables are nearly dead quiet. A special copper winding provides improved clarity and tighter bass, even over long lengths. 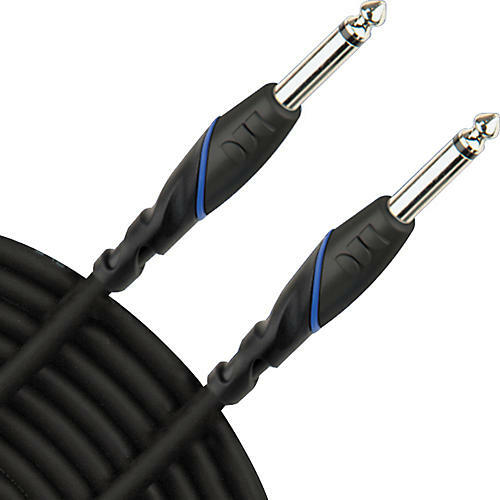 This entry-level instrument cable delivers exceptional performance at an affordable price. Monster Standard 100 is a superior performance, general purpose instrument cable with improved durability and dynamic range.